Tomohisa-sama, Kumiko-sama, congratulations on your wedding! 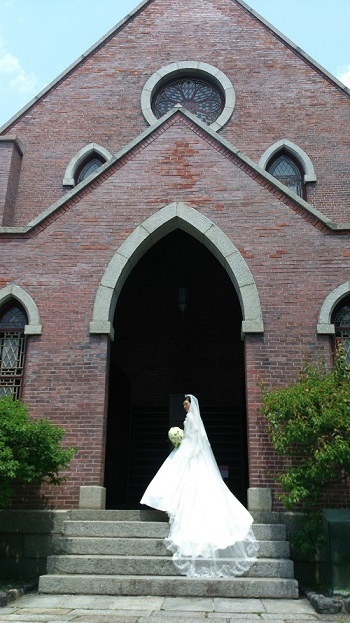 The wedding ceremony was performed at the Chapel of Doshisha University where the groom had graduated from. The photographing of a handsome groom and a pretty bride reminded me of a scene out of a movie or a novel. I thank you from my heart for giving me an opportunity to support such a wonderful wedding ceremony.